The Woodland Trust is looking for the Scottish Tree of the year 2016 and the Morinda Spruce at Hopetoun House has been shortlisted as a contender. 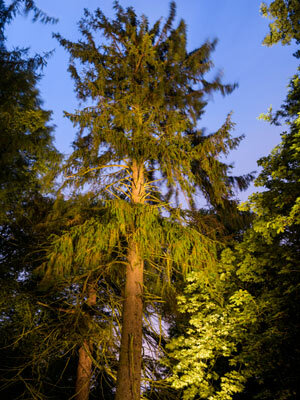 The Morinda Spruce has a fascinating history with Hopetoun. Back in 1818, Dr George Govan, a Scottish botanist collected seeds whilst on an expedition to the Himalaya’s. These seeds were gifted to the Earl of Hopetoun who passed them onto his very talented gardener James Smith. James Smith germinated the seeds and grew seedlings which he then grafted onto Norway Spruce root stock, to give them the best chance of survival in our climate. In 1821, these seedlings were planted out into the gardens to the west of Hopetoun House and have remained there ever since and can be visited today by following the Spring Garden Trail. James Smith remained head gardener at Hopetoun until his death at 73 in 1850. We know that he was a gardener at Hopetoun for 60 years, starting work at just 13 years old. James Smith won many accolades for his work, none less so than a silver medal from the Royal Horticultural Society in 1824 for his ability to force cultivate Rhubarb and to improve its bitter taste. His grave can still be visited today in Abercorn Churchyard, along with many other highly valued Hopetoun Estate staff. Voting is now open for the Tree of the Year 2016. 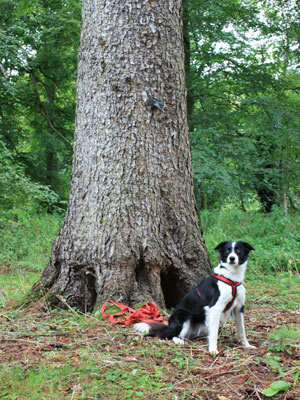 Please visit The Woodland Trust Website to cast your vote and help to make Hopetoun’s Morinda Spruce the Tree of the Year 2016 and recognise the hard work of our dedicated head Gardner James Smith who worked here from 1790-1850 and helped to create the fabulous designed landscape we enjoy today.